Made of environment friendly non woven fabric, allow roots breathable and healthier. --Booster better roots aeration and access to oxygen, resulting in a vigorous plant with more flowers and fruits. 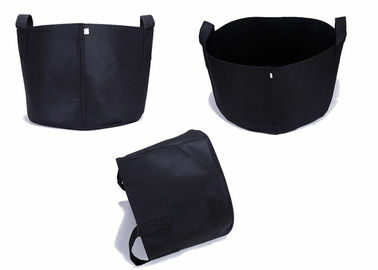 --No-strap water design prevent over watering of plants. --Sturdy handle straps easier transportation. --Decrease risk of transplant shock. 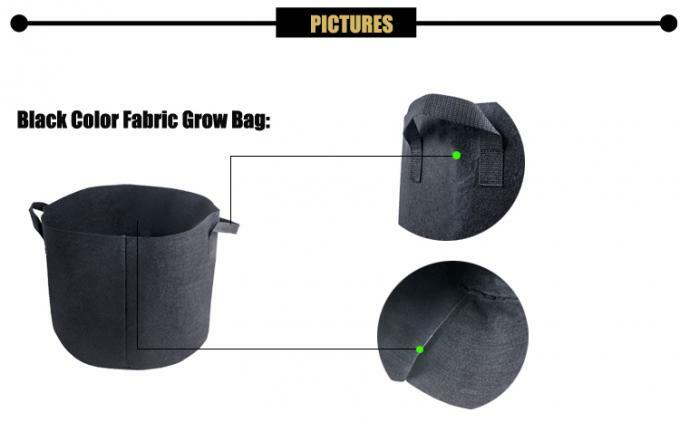 Size of reusable grow bag: 1 / 2 / 3 / 5 / 7/10 / 15 /20 / 25 / 30 gallon. Material: Breathable, durable polypropylene fabric • Soft, felt-like texture • GardenMate's special felt compound. We are manufacturer, we can strictly control the quality and delivery time. We insist to do the good quality but moderate price. Although our carbon filter is not famous brand, but we could catching their quality, so you can sell better and rapidly establish market . If you want to build your own brand, we are willing to help. We can help do design your own logo, and print it in the Grow bags. --Strong Handles: *Double seam * Bearing strong, not easy to break * The handle stitches are dense and neat, and there are no extra thread ends. 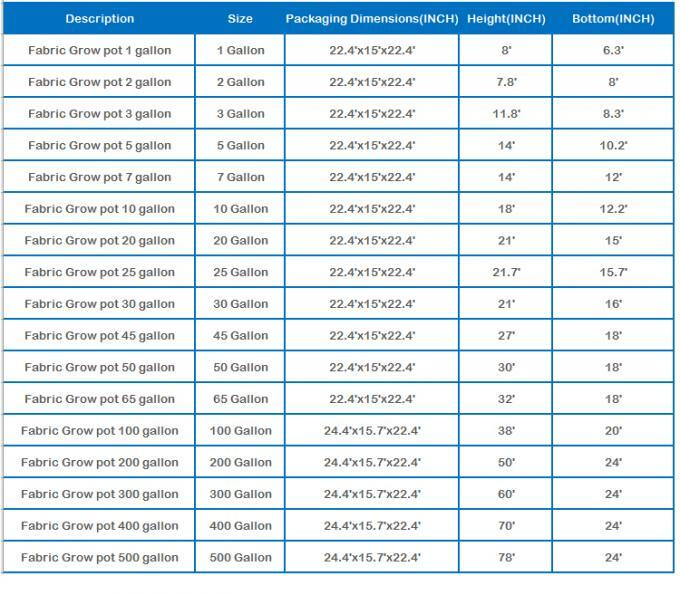 A: We are a professional manufacturing factory of Grow bag,we are able to supply you with top quality and perfect workmanship OEM and ODM products. A: The price depend on the material, the quantity,and the design. You can tell us more details that we can quote you with the price. But we ensure that we can give you a best price and the quality. 3.Q: Can I get a sample before bulk order? A: Yes, In order to text the quality, you can get a sample before bulk order. We are very confident about the quality .And the sample time is 7-10 days. 4.Q: What are your manufacturing and shipping time ?